The New Jersey DCP&P defense attorneys at the Tormey Law Firm recently helped another satisfied client with getting her case closed in Union County. Our client was accused of having mental health issues and substance abuse problems that allegedly caused her child to be at a risk of harm. When child protective services became involved, our client could not believe that she was being asked to submit to a substance abuse assessment, a risk assessment, and a psychological evaluation as part of DCP&P’s investigation – especially because she had been receiving treatment from private mental health professionals for years. Moreover, her child presented with no behavioral, educational, or developmental issues that indicated any form of past neglect. The bottom line for our client was that she needed someone to fight against DCP&P to limit the intrusion and duration of the agency’s involvement with her family. The key to this case was that the DCP&P defense lawyers at the Tormey Law Firm were able to correspond with the Division on our client’s behalf to efficiently and effectively communicate the information that DCP&P was attempting to obtain through more intrusive means. And before our client knew it, she got a call from her caseworker that the case was being closed. The Division of Child Protection and Permanency (DCP&P), formerly known as the Division of Youth and Family Services (DYFS) is obligated to investigate every single allegation of child abuse and neglect in the State of New Jersey, even calls that are made against safe and appropriate parents. In other words, if DCP&P knocks on your door, it is not enough to simply say, “everything is fine, please go away” because if the parents do not cooperate then DCP&P will file a Verified Complaint and Order to Show Cause for an Order to Investigate that will compel the parents to cooperate. In our client’s recent case, we were by her side for every step of the investigation and we were able to negotiate a mutually agreeable approach to DCP&P’s investigation that allowed the Division to fulfill its statutorily mandated investigative responsibilities while still protecting the client’s privacy and limiting the agency’s intrusion into the family’s life. If DCP&P is involved with your family, you should contact the New Jersey DYFS defense attorneys at the Tormey Law Firm to learn about your rights and what you can do to minimize the Division’s intrusion into your life. 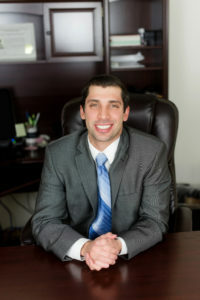 Having a knowledgeable and experienced DCP&P defense attorney on your side during a DCP&P investigation not only gives you someone to speak with about the situation and what your family is going through, but it also opens a door for having your attorney contact the Division’s attorney to work out a plan. If you are being investigated by DCP&P or you have been served with notice of an Order to Investigate, contact the DCP&P defense lawyers at the Tormey Law Firm to discuss your rights and learn how our law firm can help.